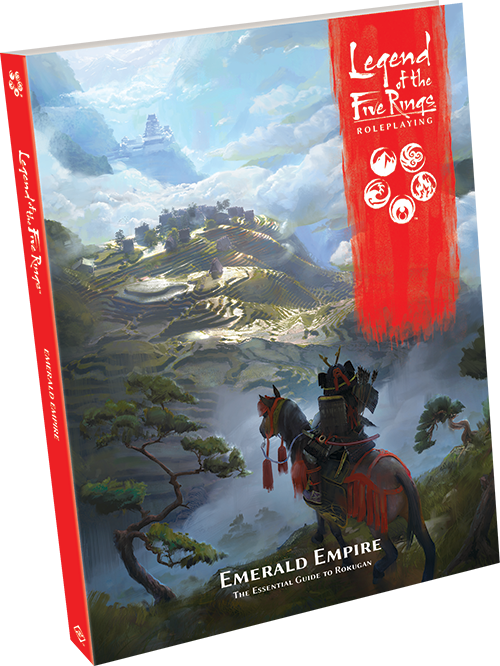 If you’re a player of the Legend of the Five Rings Roleplaying Game, Emerald Empire begins by offering you new answers to the Game of Twenty Questions, including three new families, nine new schools, nine new titles, and over two dozen new advantages and disadvantages. Away from the monasteries and civilized places of Rokugan, the Realm of Animals sometimes bisects the world of mortals. 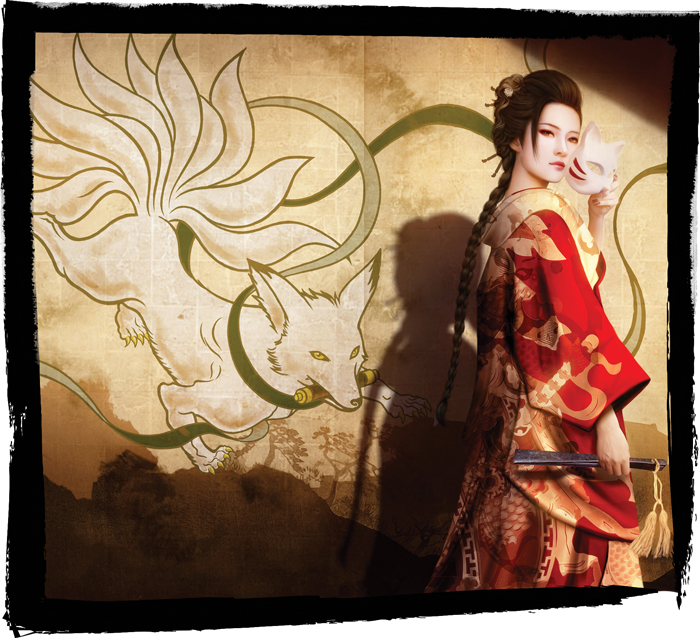 Kitsune, or fox spirits, possess powerful shapeshifting abilities that permit them to travel across Rokugan and dwell among humankind undetected. Sometimes, these mythical creatures fall in love with a mortal or find themselves part of a lord’s court or retinue, where they can serve as cunning tricksters with other potent magical powers. The False Identity adversity models the stress that arises from maintaining the ruse of mortality, but at the GM’s discretion, a character in this situation who reaches Rank 2 in their actual school may spend 2 XP to learn the basics of their false school’s regimen through direct exposure, deepening the deception. In addition to these trickster spirits who can be found in the most surprising of places, further secrets and conspirators span the breadth of the Empire. 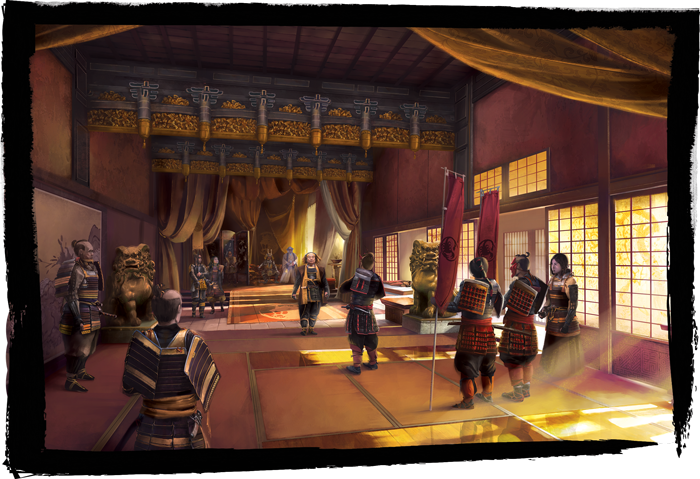 The Legend of the Five Rings Roleplaying Game offers a roleplaying experience like no other. 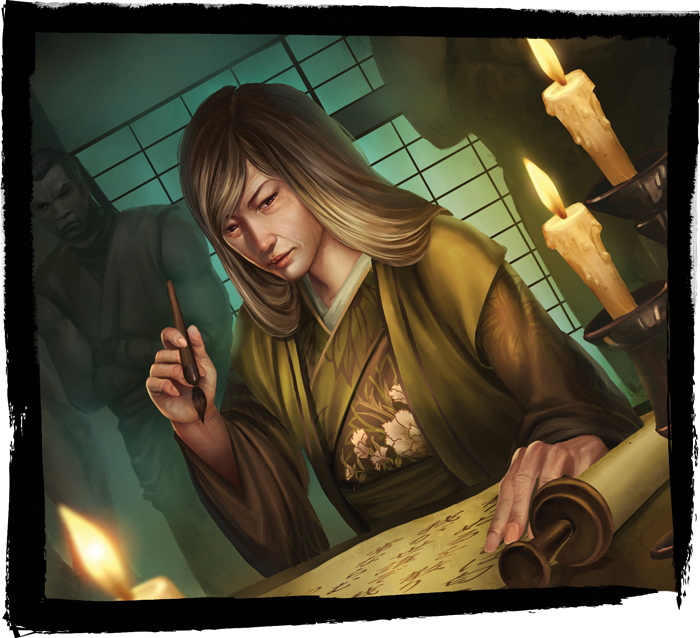 With its strong focus on the complex dynamics of a society markedly different from our own, it can seem daunting to try to roleplay a character who’s familiar with Rokugan’s traditions and taboos, much less try to bring the world to life as a Game Master. Complicating matters further is the overlap—and divergences—between the fictional setting of Rokugan and its real-world counterparts. Emerald Empire delves deep into the etiquette, culture, and daily life for the inhabitants of castles, cities, towns, villages, and wild places across the Empire. It also calls attention to parts of the setting that should be treated with additional consideration and respect.